This is the paperback edition for Sarah Crossan’s Moonrise. My concept for the paperback edition of the Moonrise cover was to show the protagonist’s older brother (Ed Moon) in a prison cell … only in a more pretty, hopeful, eye-catching and metaphoric way, with the moon representing their surname and the birdcage representing prison. 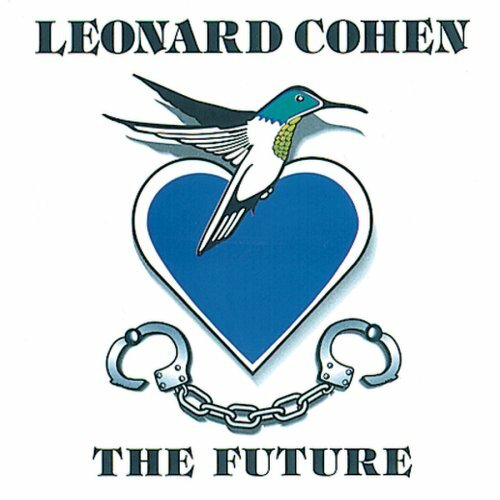 I was a little bit inspired by Leonard Cohen’s The Future album cover artwork, which is very logo like and has a nice balance of pretty and grim, with it’s blue heart, hummingbird and handcuffs. Miranda was an absolute delight work with. I explored several routes but none were quite right, so I contacted Melissa Four to inject some fresh energy and Mel nailed it! Thanks for getting involved Mel - you life saver you! Design based on And I Darken by Margaret Hope. I created the UK edition using Bloomsbury US artwork, then had Charlie extend the border. The border is a blind spot varnish. Shortlisted for the ABCD (Academy of British Cover Design) awards 2016. I'd like to take credit for the book being pink : ) I knew Brooklyn would be able to rock pink. Turns out he already wore a pink JanSport backpack, so he didn't need a great deal of convincing. It was a really smooth project with everyone involved in agreement throughout the process. The highlights - for me - have to be Holly and I smuggling Brooklyn into the Penguin Random House building, meeting Brooklyn's family and PR guru Natalie, and spending a week in the dark room with Eoghan and Peter formatting 430 plus photos, leaving Stefanie to focus on laying out the images and styling captions.